The ITF’s 2017 Summit on Governance of Transport will explore the trends shaping transport governance and identify the most pressing challenges in the transport sector. 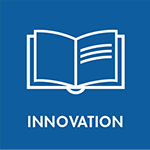 Through the governance lens, it will focus on infrastructure, global connectivity, the right regulation for innovation, and urban access and mobility. Transport governance affects decisions regarding everything from local cycle paths to global trade routes. The governance framework both responds to and shapes decision-making and policies addressing inter alia environmental and climate considerations, working conditions, accessibility, and technical solutions, as well as organisational and financial challenges for the sector that are in constant flux. Important factors in this include legislative and regulatory frameworks, attribution and devolution of responsibilities between different levels of authority and across sectors and involvement of stakeholders. 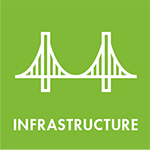 - How can better governance help increase infrastructure investment? - Should users or taxpayers fund infrastructure investment? - Which private financing models work best? - What does the shift from a modal perspective to a focus on access and mobility mean for transport governance? - In which ways can technology drive network connectivity and foster cooperation? - How can transport governance better interface with other sectors? - How can regulation strike the best balance between protecting consumers and fostering innovation? - Where are governments regulating ahead of change and with what results? - How should regulation adapt to disruptive innovation like autonomous cars or open data? - What are the most effective governance frameworks for integrated urban transport? - How can transport governance best integrate with spatial planning? 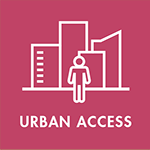 - How can national authorities create effective frameworks for funding urban mobility and access? The Annual Summit of the International Transport Forum is the premier global transport policy event. Since 2008, the Summit brings together ministers from around the world to share policy perspectives with CEOs, heads of international organisations, thought leaders from civil society and academia, and the media. This vibrant conference addresses strategic and topical issues across all transport modes where participants can engage in the debate through a variety of session formats. 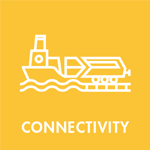 The Summit offers a rich programme of inspiring keynote addresses, interactive sessions featuring transport ministers and other ITF stakeholders to debate policy responses to the sector’s challenges. Technical and cultural tours and an exhibition complement this diverse programme of events. The Summit also provides numerous networking opportunities, including bilateral meetings, receptions and a gala dinner. Interpretation to English, French, German and Russian is provided for the plenaries and panel sessions held in Halls 1, 2 and 3. The Summit provides a multitude of opportunities to network. Over 100 bilateral meetings are held during the Summit, and there are countless informal opportunities to engage - from receptions, the VIP lunch, a Gala Dinner, the ITF Open Stage café and exhibitor's stand to technical visits and cultural tours. More than 50 exhibitors from around the world showcase the latest initiatives and technological developments. They represent governments, businesses, international organisations, research institutions, NGOs and business associations. For more information please consult Opportunities at the Summit (pdf). The Summit is the ideal opportunity for any organization or company involved in transport or related activities to raise its profile and showcase products, services and initiatives to a high-level global audience. For more information please consult Opportunities at the Summit (pdf). At the Summit, the ITF partner organisations host side events looking at the topics that complement the Summit theme and present recent work, foster debate on key issues or conduct technical or policy discussions. For more information please consult Opportunities at the Summit (pdf). During the Summit, ministers present the ITF Transport Awards in three categories: the ITF Transport Achievement Award for excellence in transport provision, the Promising Transport Innovation Award, and the Transport Researcher of the Year Award. Applications for the ITF Awards are now open! For more information and to apply, please consult the Awards page. Over 100 accredited journalists from around the world cover the latest on transport policy issues and access key decision-makers. Press conferences, publication launches, signings of agreements and other media events ensure broad Summit coverage in print, online, radio and TV. Registrations for the media will open in early 2017. In preparation for the Summit, ITF will hold its annual Consultation Day with International Organisations on Thursday, 15 December in Paris. The annual Consultation Day is an important opportunity for the ITF and its stakeholders to engage in a dialogue around the main themes for the ITF Summits.